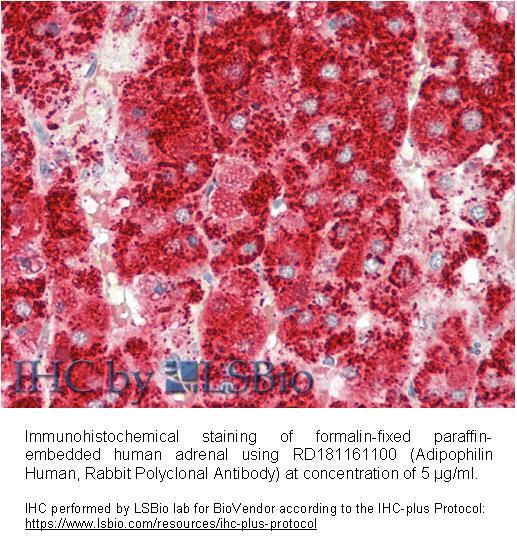 The antibody was raised in rabbits by immunization with the recombinant Human Adipophilin. 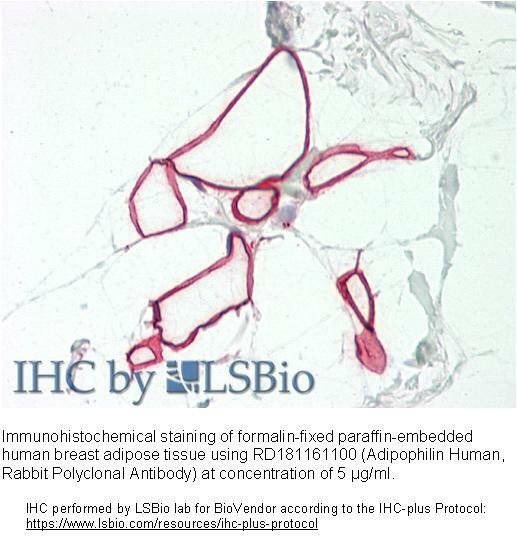 The immunization antigen (49.03 kDa ) is a protein containing 444 AA of recombinant Human Adipophilin. N-Terminal His-tag, 8 extra AA (highlighted). 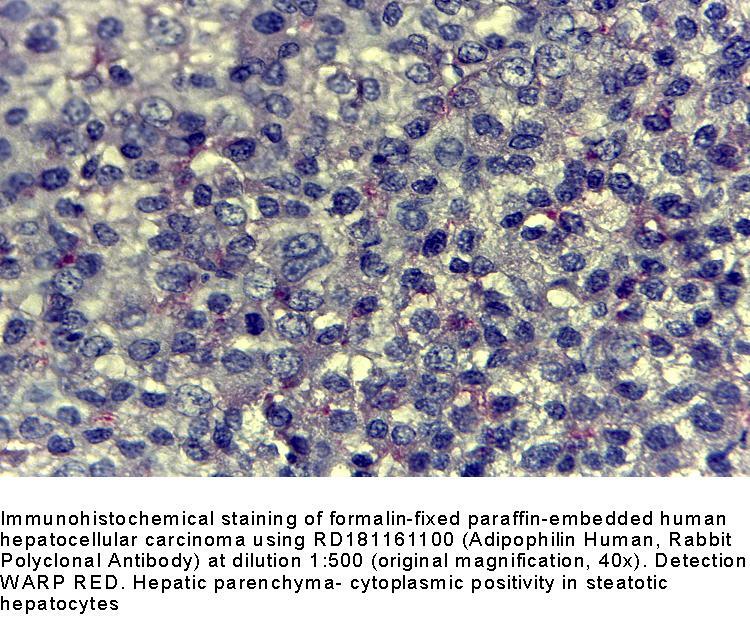 Immunoaffinity chromatography on a column with immobilized recombinant Human Adipophilin. 0.1 mg (determined by BCA method, BSA was used as a standard).